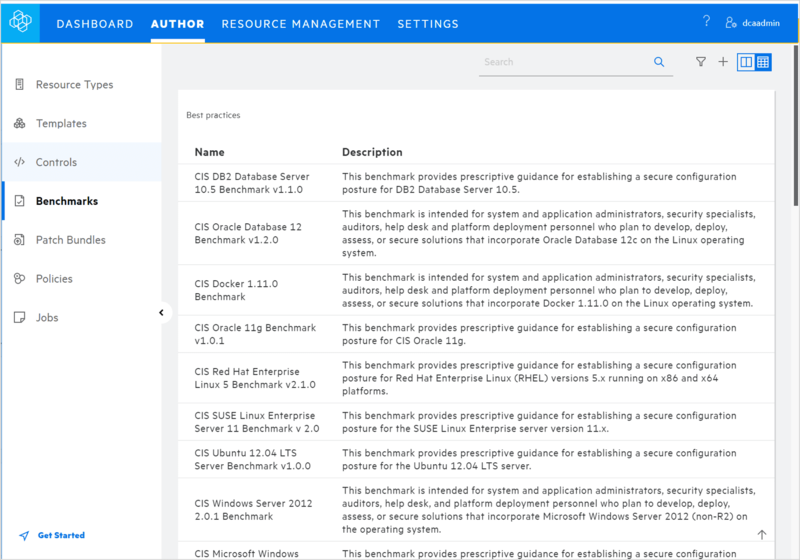 Run compliance audit across server OS, databases, and middleware. 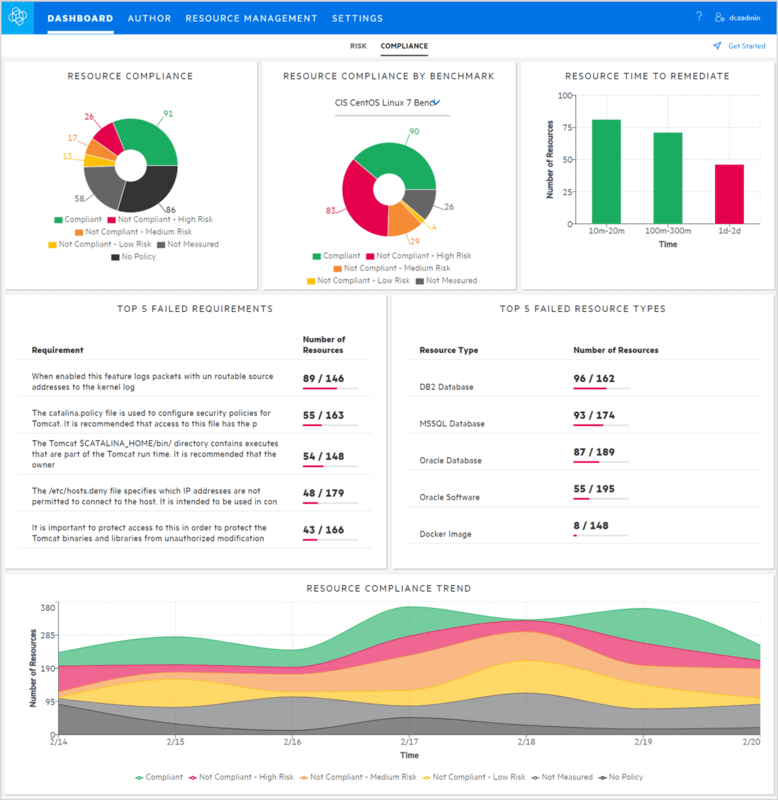 Visualize in a single compliance dashboard and then remediate. Manage by policies and service level objectives. Scan against the latest threats. 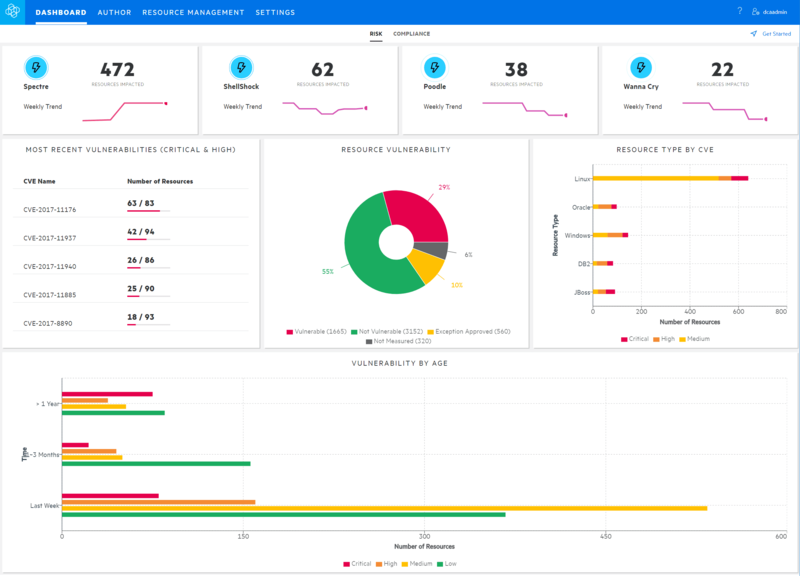 Prioritize and track top vulnerabilities in a central risk dashboard. 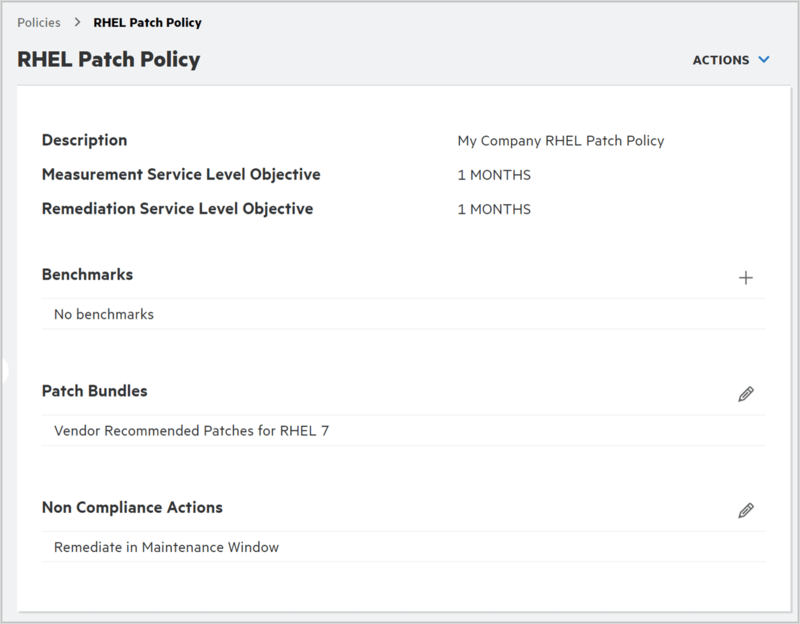 Patch according to policies, service level objectives, and maintenance windows. Standardize at build time, and then scale. 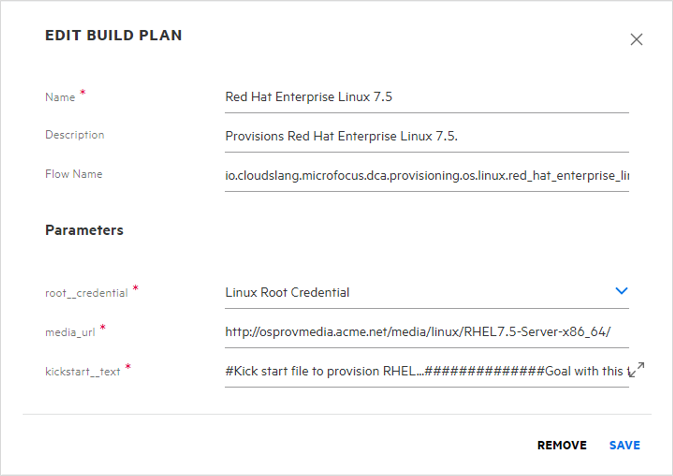 Use policy-aware provisioning templates for automated initial enforcement of compliance and patching policies. Get the broadest range of support for multivendor infrastructure. Extend integration to resources deployed by open source configuration tools to centralize compliance and risk management. Choose from compliance benchmarks and remediation actions aligned to the latest industry and regulatory guidance for PCI DSS, HIPAA, FISMA, CIS, ISO, and more. Deploy on container-based architecture for easy installation and effortless upgrades.